Las Vegas police reported via social media that multiple suspects were in custody after a violent incident occurred that involved the beating of an elderly man and stealing his car on Tuesday. The stolen vehicle was recovered near Charleston Boulevard and Fort Apache. Still no arrests. 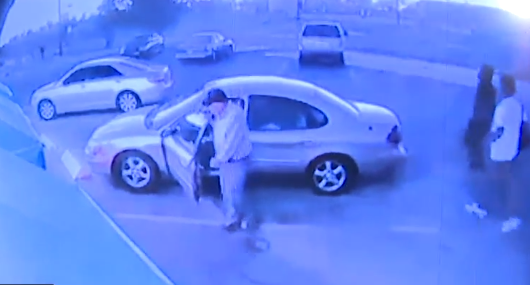 Las Vegas police are looking for a suspect wanted in a violent beating of an elderly man during a carjacking Tuesday. The incident was reported around 5 p.m. in the 2500 block of Fremont Street, near Charleston Boulevard. Police said the 78-year-old man was getting out of his vehicle at a restaurant when three men demanded his car keys and attacked him. Police said the man complied with the suspects' demands but was still beaten. The 78-year-old man's received injuries described as moderate. His eyes are swollen and face beaten in addition to other substantial injuries. Police hope he will make a full recovery. 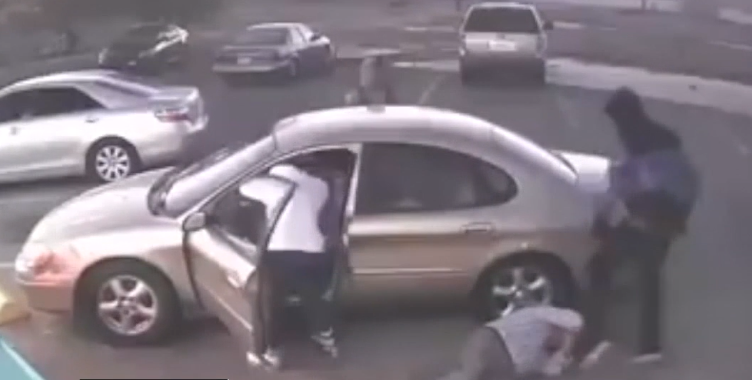 The suspects, described as in their late teens or early 20s, took his vehicle and cell phone. The vehicle stolen is a 2001 gold Ford Taurus with the Nevada plate #546D81. According to police, neighbors said they saw suspects in the area, possibly committing other crimes. In Tuesday's incident, the suspects face numerous charges, including carjacking of a victim over 70 and attempted murder. Police called finding the suspects the "number one priority of Downtown Area Command." Police also released the below video of the incident.